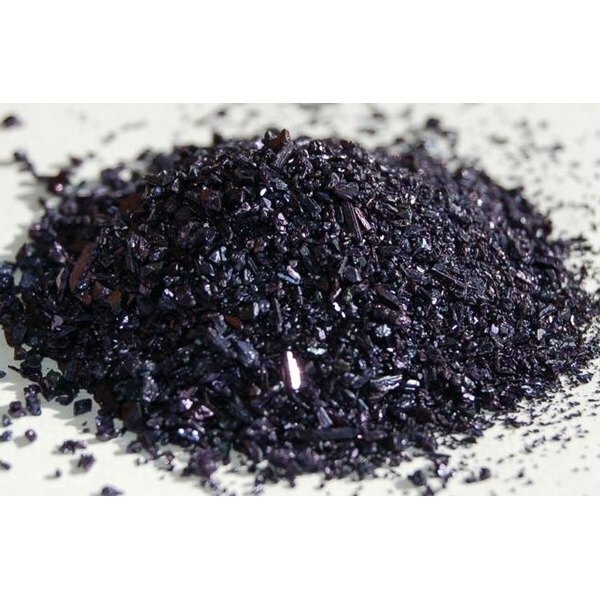 Potassium permanganate is also referred to as permanganic acid potassium salt, chameleon mineral, permanganate of potash, or Condy's crystals. If labeled as one of the previously mentioned, the steps for handling or disposing for potassium permanganate are the same. Potassium permanganate may potentially cause burns or corrosion upon contact. Inhaling potassium permanganate causes respiratory tract irritation. Ingestion can cause one or more of the following symptoms, including but not limited to gastro-intestinal burns, nausea, vomiting, kidney damage, suffocation, and death. Skin and eye contact will cause irritation and burning. Do not induce vomiting. Seek immediate medical attention. Be aware of previously mentioned dangers and proper protective clothing before proceeding with potassium permanganate disposal. If disposal is necessary because of a spill, ventilate area. Remove anything that can cause a spark or ignition, as potassium permanganate is not combustible but may explode. Sweep up material into a new container. Do not use the old container, which may be the source of the spill. Moisten with water and place in a closed container. Transfer to a clean metal drum. Use water to flush chemical into the sewer, if local laws permit. If they do not, contaminated water must be collected. If a possibly dangerous amount of potassium permanaganate has spilled, the proper authorities must be contacted. Contact U.S. Coast Guard National Response Center at (800) 424-8802. For non-emergency disposal, reduce with sodium thiosulfate, sodium bisulfite, or ferrous salt solution. Sodium thiosulfate and ferrous salt may require diulte sulfuric acid as well. Filter the sludge and mix with sodium carbonate. Dispose of properly in a landfill. Sludge may be poured into the sewer depending on local and state law. How Much Potassium Does a Potassium Supplement Provide on a Daily Basis?